The debate about campus free speech, safe spaces, trigger warnings, and related topics in schools and universities is very old. Indeed, modern campus activism traces to the Free Speech Movement at UC Berkeley, where the student body fought against an administration that wanted complete control of conduct. Well, the University of Chicago has always embodied the Slowpoke meme. Always relishing its anachronisms. Thus, it’s not surprising that they take fairly regressive stances on campus issues. Students and former students like Cameron Okeke have criticized the university’s stance, saying it has no appreciation of how safe spaces can improve campus function and dialogue, not hinder it. They’re right. Within education there is a bizarre, unresolved contradiction. Schools, especially universities, are supposed to be about open exchange and freedom. Yet these institutions often serve to bolster white supremacy and obscure historical injustice. Whatever your age, if you were born and raised in the United States, what was the first thing you ever learned about the indigenous people of the Americas? Probably the first Thanksgiving, which occurred over a century after contact. We are told there was harmony, while the systematic extinction of the original inhabitants starting with Columbus is taught much later. Humans tend to believe the first thing they are told about a subject, even if it is later proven to be false (in psychology this is called anchoring). Thus many people think Thanksgiving, not the forced mining or Trail of Tears. If you grew up in California, you spent a whole half-year talking about the mission system. I’ll bet subjugation of natives to serve as labor was probably glossed over. Same with focusing on the Founding Fathers crafting a republican form of government, rather than how it excluded anyone who wasn’t white and wealthy. So if primary and secondary education fail us, universities have to serve as the counterpoint. But eliminating safe spaces doesn’t make the discussion better, it makes it worse. In most elite schools, black and Latino/a students are under-represented. The strain of often being the only black or brown student in a class, or on the floor of a dorm, is huge. Universities that historically had no people of color (or women, for that matter) are not welcoming, especially if no effort is made to change. Safe spaces, trigger warning, etc. are an effort. U of Chicago is nailing its feet to a place between the beginning of the civil rights movement, and now. It can only fall further behind. Cal State Los Angeles has recently gotten attention for offering campus housing that is designed for students interested in black culture and issues. This has been called segregation (it’s not), but this all seems to be about comfort. Namely, sacrificing the comfort and safety of students of color in favor of the comfort of white people, who would rather not be reminded of how the university works for them but not for others. That lofty concepts like academic freedom are being dragged down is distressing, as it’s just a fig leaf. Administration wants control, nothing more and nothing less. This is part two of a series on UC mental health and the campaign to reform it. A previous post outlining areas of concern is located here. The UC Students Association (UCSA) has released their evaluation of campus mental health resources, part of a new reform campaign (#HowAreYou) which was adopted last August. Three areas were measured: accessibility of the system, diversity of current staff, and extent and quality of outreach. Results: not good. UC students would be appalled if their own academic grades were this bad. Campuses scored best on outreach, which is the least important of the three criteria. The core issue is accessibility. Diversity among counselors is only meaningful if students can get appointments within a reasonable amount of time- and are allowed a sufficient number of sessions per term. Outreach is key- it destigmatizes mental illness, and plays a key role in the increasing number of college students looking for treatment in the last fifteen years. But effective outreach magnifies accessibility issues. The more students who seek Counseling and Psychological Services (CAPS) or an equivalent service, the more meaningful staff to student ratios become. 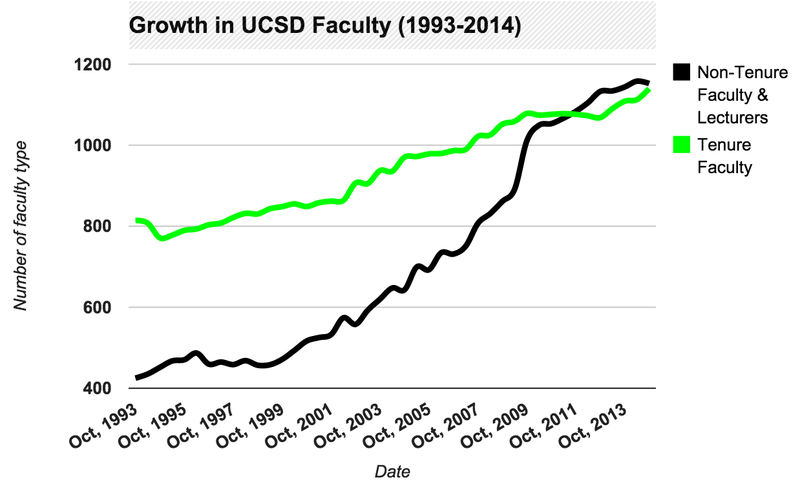 It’s clear that the rise in demand for counseling and psychiatry is outpacing general student growth and funding allocations. The cumulative toll of this shortfall in service capacity has had and continues to have a significant negative impact on all campus populations, including other students, faculty and staff; on the affected individual student’s academic performance; and on that student’s overall mental and physical well-being. Further, it is the Committee’s considered view that this situation will not improve over time, and indeed given general societal trends can only further deteriorate, without aggressive intervention on the part of the institution. This intervention must include a systematic review of policy, enhanced communication mechanisms, and a renewed commitment to campus-wide collaboration along with an infusion of new resources commensurate with both the nature and magnitude of the challenge now facing the University. As usual, the issue boils down to money. The reason is the corporate-like administrative structure that ties up over a billion dollars more than is needed to run the UC. A low-cost, high revenue structure will always underfund student services like counseling. This combines with the ‘progressive’ state government abdicating its duty to provide quality higher education. 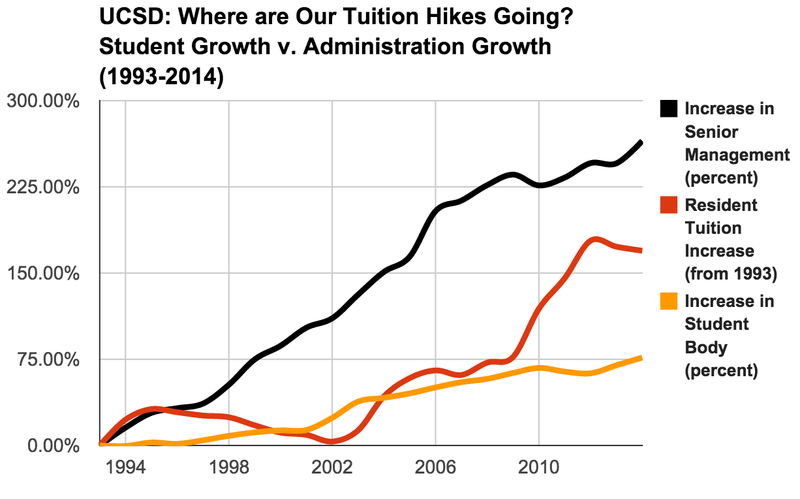 Thus we are told that any investment in students will raise tuition, because in 2016 there is increasingly little difference between private and public universities. Remember how K-12 is a right, but once you hit around 18 education becomes a paid-for privilege? Students and faculty are hostages of a mindset we see in corporations all the time, where investment in people makes the system uncompetitive. Disability Services Center at UC Irvine; and the Disability Services Office at UC Merced. When #HowAreYou was first presented in a public meeting at UCSD, I had issues with its depiction of a full coalition of groups and university services. I like the focus on collaboration- as improving mental health is not just about psychologists but peer mentors, wellness education, student groups, resource centers, etc. But mental illness as disability was never mentioned. Laws like 5150 involuntary commitment were mentioned, but the Americans with Disabilities Act (ADA) was conspicuous in its absence. Under the ADA, the definition of disability (Section 12102) is broad and non-exhaustive. In public perception, the term “disability” has been strongly tied to physical disability. The International Symbol of Access is the image most closely tied to the concept of disability- part of an inherent bias towards conditions that others can perceive and verify. Part of stigma is how people may not perceive psychological issues as potentially chronic or severe. So let’s turn the three branches of #HowAreYou– accessibility, diversity, and outreach. All of this is based on my own experience, the experience of many friends and people I come across, and hour-long meetings with a case worker who deals with the largest portion of students seeking help with psychological conditions, dedicated to talking about the mental health system. Especially in cases of mental health, there are few connections between disabilities office and other parts of the university. Professors rarely, if ever, talk about it or put information on their syllabi. It’s seldom a topic of conversation in student groups. Documentation is difficult for someone with no prior experience. The ratio of case workers to students leads to logjams early in each term as everyone is trying to get their accommodations set and given to professors. Faculty may block accommodation requests, which the student must then solve by going back and forth between the office and faculty. Diversity: The same issues exist here, as it does when talking about CAPS. Students may come from cultural backgrounds that don’t talk about mental illness, and may stigmatize those who have problems. This is brought up frequently by Asian Pacific Islander (API) students, and is relevant with both CAPS and disability services. Outreach: Stigma is a big factor here, but I’m very insistent here- the stigma of having mental health problems is very different from the stigma of having a disability. So campaigns launched by #HowAreYou will have limited effect if they are only talking about the direct stigma of mental illness. The disabilities office, like CAPS, is given a very limited slice of time in orientation. With so much information in a day-long event, students are unlikely to follow up with the office if they had heard about it for the first time. Faculty aren’t trained at all about disability accommodations. Thus they often treat accommodations as guidelines rather than legal rights. If faculty have to go out of their way to meet standards, they will often refuse to honor entitlements. Many faculty are new to teaching, or from countries that do not have an equivalent to the ADA. So a large chunk of teachers every year will have no prior experience with the system. Because mental health is usually placed in a therapy/treatment rather than disability context, anti-stigma campaigns rarely address that there are two stages of stigma of mental illness. The disabilities office rarely has a robust outreach component. They will table at resource fairs and present at orientation, but there is rarely a push to get staff and student mentors in club meetings, classes, and hold events specifically about disability. It should be said that everything here applies more to psychological disabilities than other types. Many people have no idea psychological conditions are legally disabilities. So this concludes my second post about mental health in the context of the UCs and the #HowAreYou campaign by the UC Students Association. I welcome any information by those that have experience with disability services and mental health, especially outside UCSD. My next post will be about the structure of how students give accommodations. An exchange with someone at a community college in Northern California shows that there are multiple ways to go through the process, and I think some are superior to others. This post is to mark the beginning of How Are You at UC San Diego, a student mental health overhaul instigated system-wide by the UC Student Association (UCSA). Mental health for students, from elementary school on through graduate education, is in crisis on a structural level. The toll of mental illness has always been underestimated, and thus few schools have services to match need. Nationwide studies find sharp increases in college students seeking counseling. Dr. Victor Schwartz in the linked article outlines two potential reasons that campus services are being overwhelmed. Number one, that college students as a population are having more issues than before. Number two, more people with existing issues are seeking treatment, so it’s not the density of the problem but the response rate. I’m firmly in the camp that thinks reason two is the key issue. In my previous post on student health, “The fantasy of perfection,” I wrote about the crisis that appears when mental illness is viewed as weakness. Society waking to the reality that mental health problems, both acute and chronic, are common features of the human experience is a huge development. So while the present is a challenge on a resource level, it is at the same time an incredible opportunity. So I’m just going to list nine things that should be considered by the How Are You campaign at the UC schools, and campus mental health campaigns in general. The introduction of mental health resources to new freshman and transfer students. Existing orientations tend to lump all resources together- first-generation college students, sexual assault counseling, centers for racial and ethnic groups, reporting discrimination, with psychological services and disability services mixed in among them. Identification of students who may need help. In particular, the training that RAs, graduate assistants, professors, and student leaders have, and the criteria by which they intervene. Outreach to special groups. This can be split into vulnerable populations at risk of dropping out, and those coming from a culture where mental illness is a taboo subject. This includes having diversity in personnel, as in America counseling often defaults to white women. Handling of acute crises. Some students need to see someone more or less now. There needs to be slack in the system to deal with an irregular number of special cases. Referral. At some point, a delay for someone with chronic need becomes excessive, and off-campus help is preferable. The system needs to provide a sufficient variety of options- not only diversity of practitioners but choice easily accessible by students without a car. This includes student health insurance being accepted at most practices, and referrals being timely. Connections with disability accommodations. Under the Americans with Disabilities Act, people with chronic psychological conditions have special rights and can qualify for accommodations to make academics easier. However, the stigma of mental illness is distinct from the stigma of having a disability. Thus additional outreach must be made. The counseling office and disability office need to be well-connected. Faculty education. In particular, making sure that accommodations students receive for a psychological issue are respected. Professors may resist making changes to their routine, such as letting students take a test at a different time. This needs to be restated as a civil rights issue. Letting peers tell their own stories. Having experience with a speaker’s bureau, I can attest to the power of having people with mental health issues open up. Having the ability to educate is empowering. People dealing with mental illness should be able to self-liberate. It’s good to see Bernie Sanders go beyond the liberal Congressional ideas about reducing loan rates and providing tax credits, calling for free tuition that would end the United States’ status as a dinosaur in college affordability and availability. The group I’m a part of, Students for Free Tuition, is about real solutions in education. These planks of free education aren’t even radical- it’s just an attempt to get back to higher education of yesteryear, when it was more affordable, and government assistance came from grants and not loans. There’s a frame of thinking that voting and political participation is low because people are stupid or duped. I think it’s more so that the tepid, halfway solutions proposed won’t work, and most people know that. 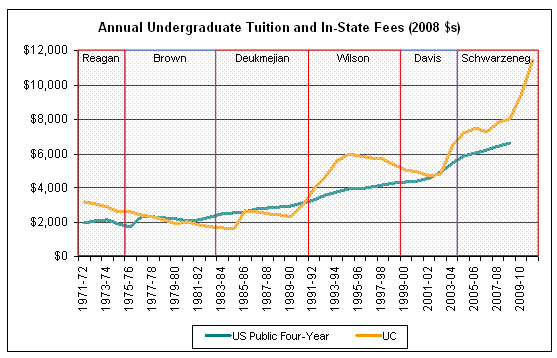 Free tuition makes all the sense in the world. The big development in radical politics this week is the so-called Corinthian 15 (all interesting radical developments include a physical space and a number), who have refused to pay the debts they incurred at their now-defunct for-profit colleges. The New Yorker captured the promise of this action with their article title- “The Student-Debt Revolt Begins”. Given that there exists over $1.2 trillion dollars in student debt, a move towards nonpayment would take the initiative away from private loan companies and overpriced schools. However, reading an online left-wing community, I was disheartened to see a sentiment that is common, but could fatally undermine mass action. Many of us see for-profit education for the expensive scam that it is, and are at least concerned about the population that goes there. But there’s also an urge towards thinking these people are dumb, and deserve the debt they accrued. From the start, a potential rift between for-profit students like the Corinthian 15, and other students, plus the public at large. This goes against the basis for popular action in the left-wing ideology- solidarity. The success of the 15 depends on people who aren’t directly affected supporting and expanding the resistance. Contempt for for-profit students creates a hierarchy, where some but not all students are victims of their loan companies and boated universities. If capitalism really is the underlying problem of exploitation, then this split cannot persist. A lack of solidarity is the reason that the British left became a joke in Life of Brian- many groups with the same general goal, but refusing to work united due to minor differences. If there is no solidarity, no mass action, then the differences are pointless. Arguing over the right path means nothing if the path is not walked to its conclusion. There is nothing weaker than small groups that could be one large group. Even dedicated socialists and progressives can have elitist tendencies. That’s not surprising, but we have to teach ourselves to accept all exploited people, even if their plight might seem self-inflicted. There’s a world to win, and we must act united. Written for an organization I help run, Students for Free Tuition, regarding the student debt strike of former for-profit college students in the defunct Corinthian system. For-profit Corinthian Colleges are defunct, but the debt of its once-students lives on, almost impossible to discharge- even in bankruptcy. Fifteen students have formed a collective action to not repay their loans, citing the violations of student rights by the college network. While this strike are tailored to the particular brutalities of for-profit education, the potential is much larger and can apply to all schools deliberately underfunded, privatized, and run in concert with student loan companies. What is the University of California system and the Board of Regents, if not institutions that have failed to do what they should have?